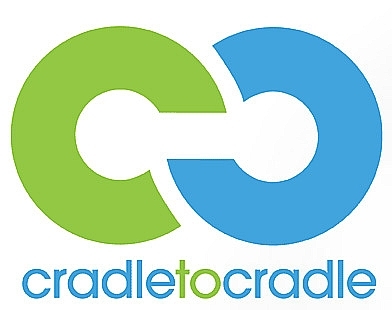 The Cradle to Cradle (C2C) philosophy promotes the use of construction materials and products that are recyclable or preferably can be upcycled. Upcycling means recycling a used product into a new product with better properties than its predecessor. The creators of the Cradle to Cradle concept were architect William McDonough and chemist Michael Braungart. The breakthrough for their idea came in 2002 following the publication of their book Cradle to Cradle: Remaking the Way We Make Things (also translated into Dutch). C2C assumes that – analogous to the food chain – a material, product, design or building follows a completely closed cycle (cradle to cradle). In the C2C scenario there is (therefore) no place for unused waste. Waste is the raw material for, for example, new materials: 'waste is food'. After removal from a building, used construction materials are deployed for the production of new materials (recycling) or reused as construction materials (reuse), e.g. in a new construction project. C2C also makes the transition from recycling to upcycling. Upcycling results in new materials that lend themselves to the same applications as the 'parent material', but can also be used for higher quality applications. Steel is a C2C material. 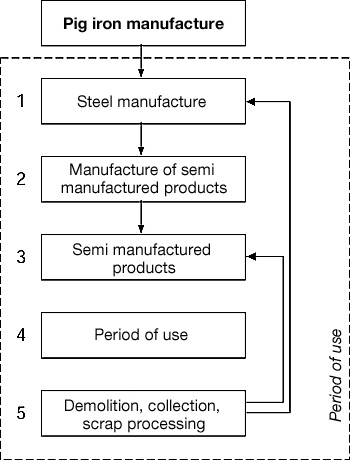 The cycle of steel is closed and steel can be both recycled and upcycled. For example a profile of steel grade S235 can be resmelted to the higher grade S460. The recycling of S235 to S460 will use just the same amount of energy as recycling of S235 to S235. An S460 profile possesses improved properties, such as higher strength. As a result less material is required for a structural element (lightweight construction). The slightly higher purchase price of the S460 (about 9% higher than S235) is insignificant in comparison to the dual benefits gained. The design of this park bench - Bend Bench - is fully in accordance with the principles of C2C. The bench was the creation of Eveline Bijleveld, Industrial Design student at Rotterdam University, and was commissioned by VelopA, Leiderdorp. Michael Braungart himself gave the design a positive assessment. Eveline Bijleveld: "Everything revolves around material separation and easy dismantling. Many well intended recycled benches are an abomination. The mixed plastics of many of these benches cannot be separated and the environmental benefit is therefore zero. My design is made of galvanized steel with a base made from one piece and a coating of pure Nylon 6 (available in colour if needed): 100% recycling will soon be possible back to the original materials. The quality of the material remains unchanged." For more information on C2C and Bend Bench click links. 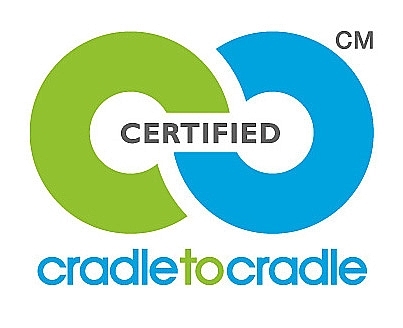 In March 2011, both Dejo and Staco (steel grating manufacturers) were awarded the Cradle to Cradle certificate for their products. Earlier, Rheinzink was awarded this honour. The zinc producer received the certificate for its roof and facade products and rainwater drainage system. MBDC EPEA carried out the certification, which can be found in the download section.